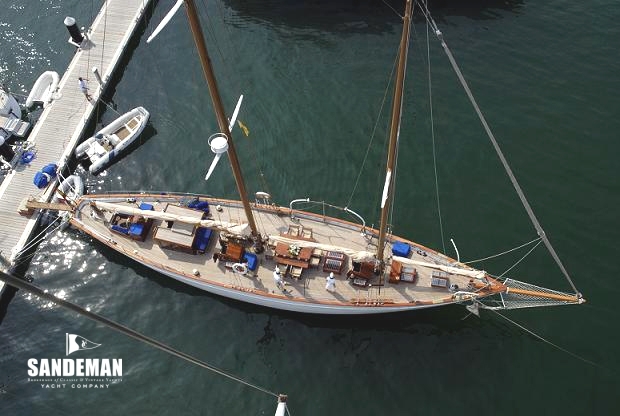 Built for the Danish Royal family, but perhaps more treasured in her current ownership than ever before, ORIANDA, is still the perfect family yacht. 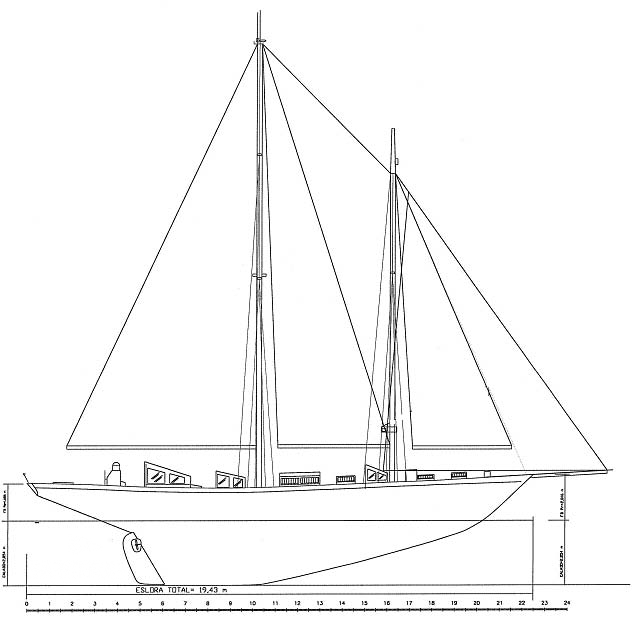 Massively built, her interior volume is large for a yacht from this period; 3 double cabins and separate crew cabin; vast space on deck for dining (and sailing!) 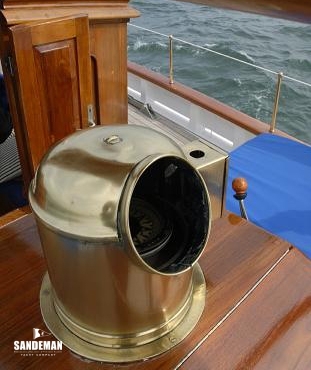 a classic vessel optimised to stay out of port and large enough to make this an option is a rare thing. She is a beautifully winning combination of European elegance and strength. 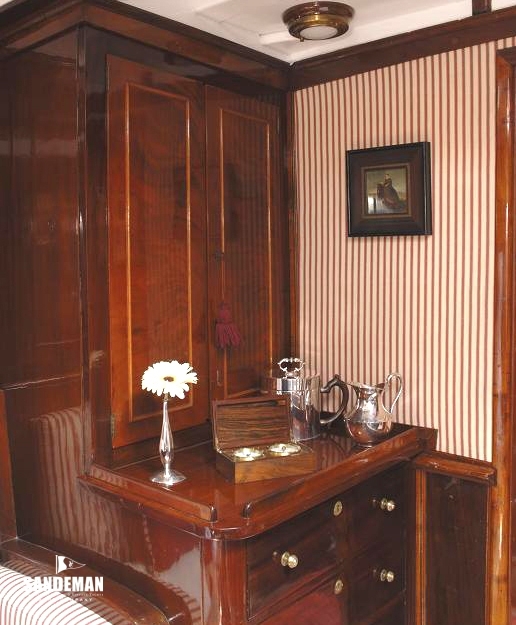 Attention to detail aboard means the beauty of varnished wood and polished brass, comfortable, immaculate accommodation and even bespoke dinnerware. 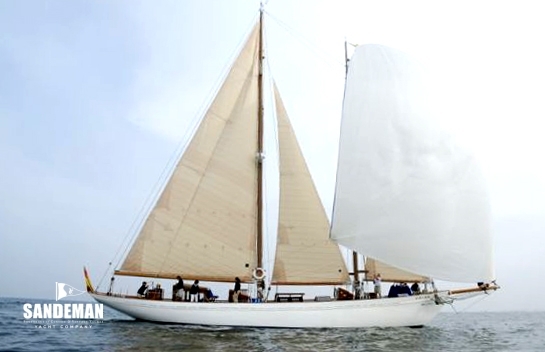 The carvel hull is built of oak planking on oak frames and a cast iron long keel. 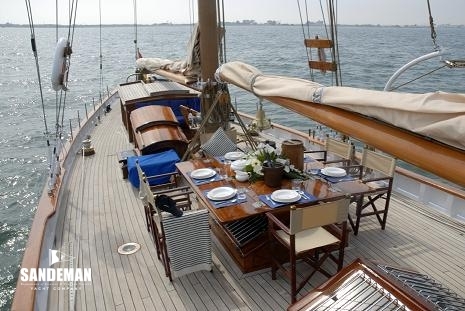 The decks are caulked teak planking and superstructure is of mahogany and teak. 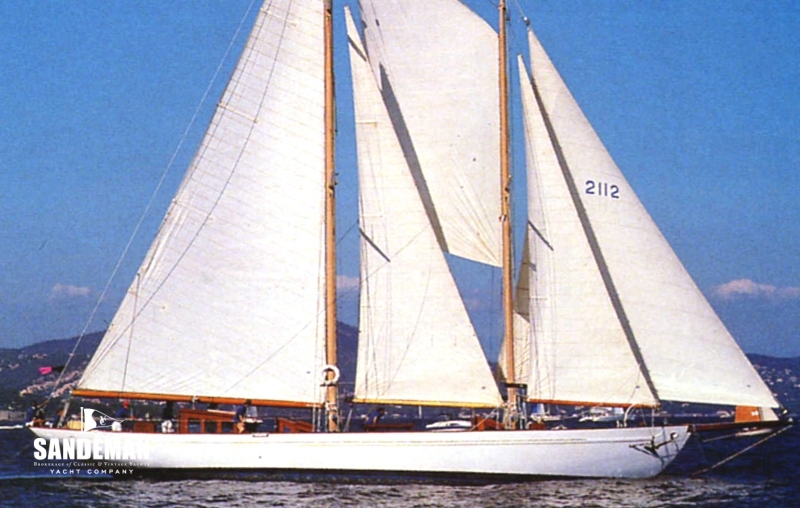 Both masts are of rolled steel. From the open cockpit aft with its impressive wheel housing and external conning position move forward to the enclosed dog house; a spacious navigation position a higher visibility vantage point. 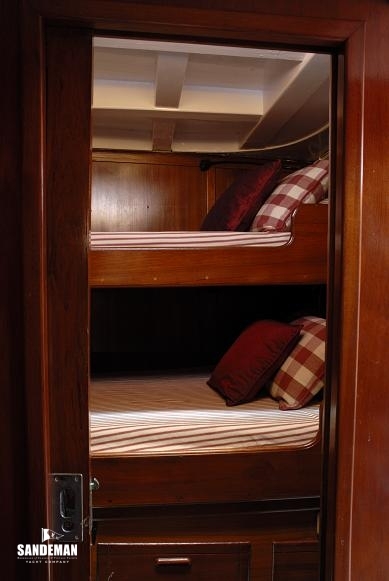 Forward and offset to starboard is the companionway access down steps to the accommodation below. 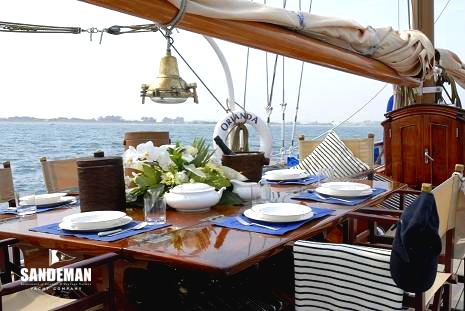 Wide and uncluttered decks either side provide ample space, whether for handling sail under way or for entertainment. The main saloon skylight roof folds out as a magnificent table for al fresco dining. 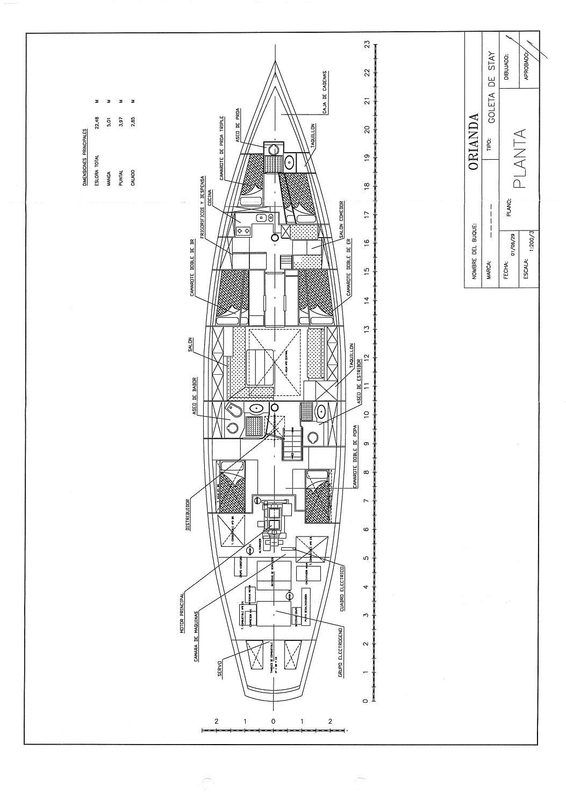 Three further skylights amidships leave space between and to the sides for sun loungers. 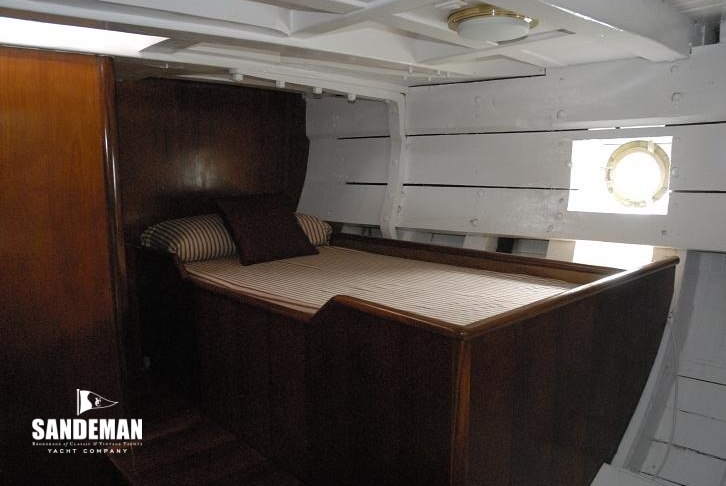 Just aft the foremast is another companionway access down to the for’ard accommodation. 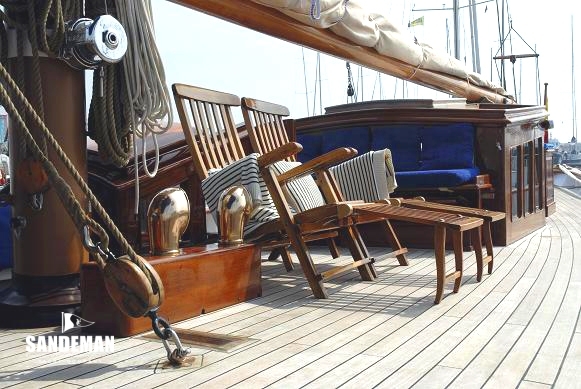 As well as on deck, ORIANDA provides supreme comfort in luxury surroundings below. 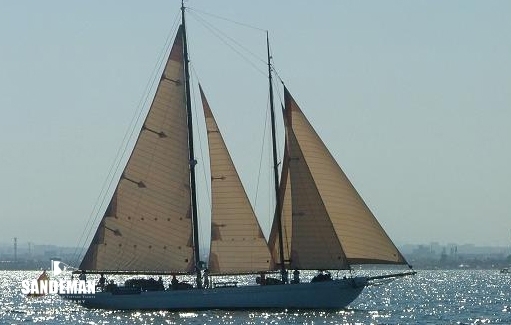 Spacious accommodation comprises a master / owner double berth cabin, two guest cabins with berths for six guests and a separate cabin for a crew of 3. 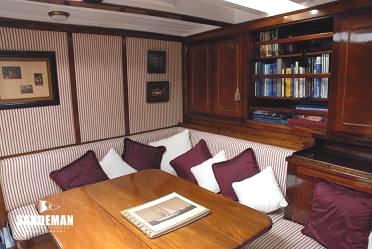 The master cabin with single berths either side is situated aft with its own en suite bathroom for’ard to port. There’s a day head opposite before the saloon. 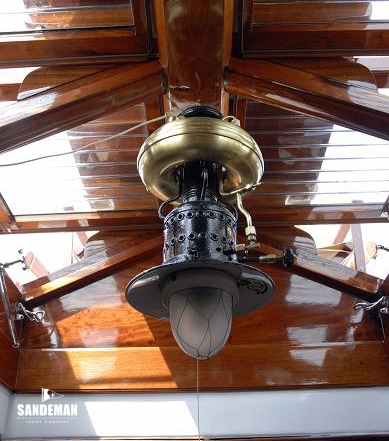 The Main Saloon retains all of its original character - overhead deck beams, skylight with its beautiful polished mahogany panelling and furniture, nevertheless decorated in contrasting fabric in keeping with the style give a light but warm ambience. Concessions to the modern age provide the comfort of air-conditioning and entertainment facilities including LCD-television system, music and DVD; all wonderfully concealed however unless actually in use. 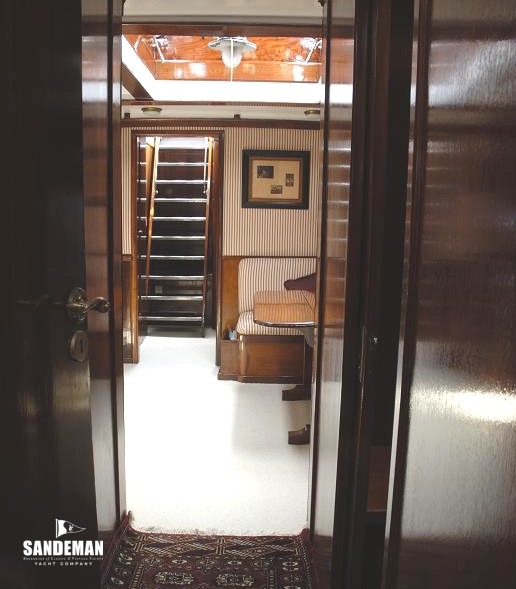 All staterooms have fan coils, plus opening deck hatches for light and ventilation. 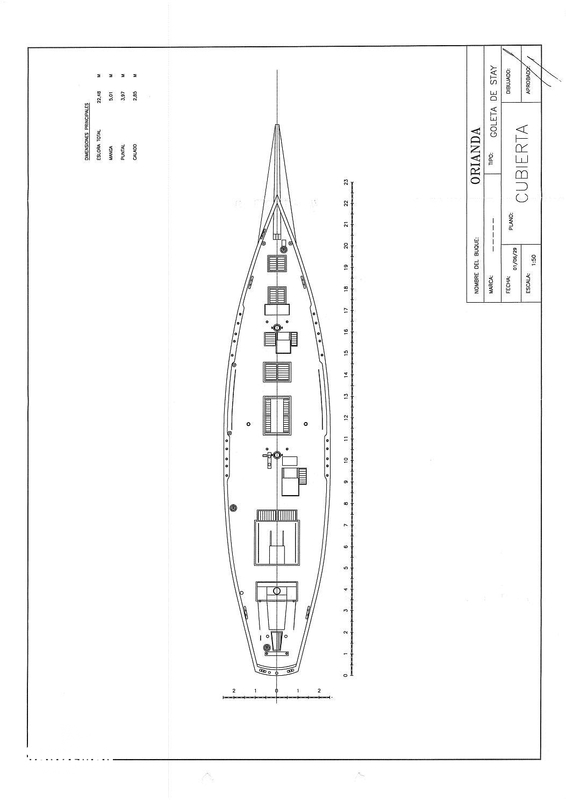 Forward of the saloon are the two guest cabins, each with upper and lower berths and beyond those the galley to port with small crew mess opposite. 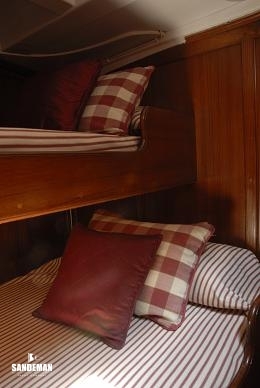 The fore peak accommodation comprises 3 single berths and head.